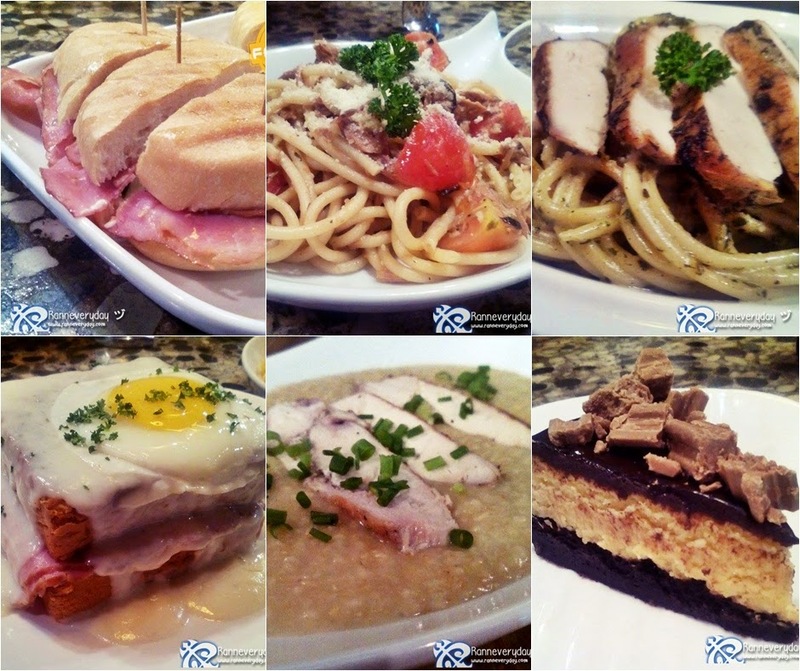 A casual dining place at the heart of Malate, Manila serves different kinds of comfort food. Eat. Cafe (Eat dot Cafe) offers a wide range of comfort food which makes your every meal - especially breakfast, as an awesome dining experience. Eat. 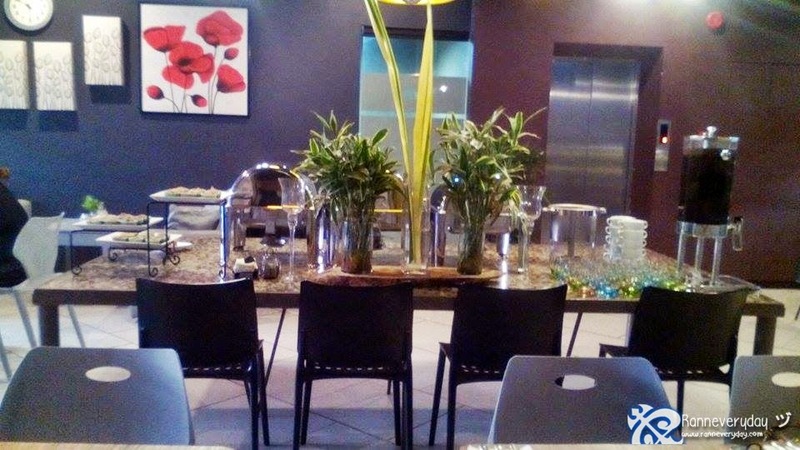 Cafe is located at the Mezzanine floor of V Hotel, Malate, Manila. Even the actual place is quite small, the very classy ambiance inside makes you feel very comfortable of eating here. Staffs are ready to accommodate you for your requests. Eat. 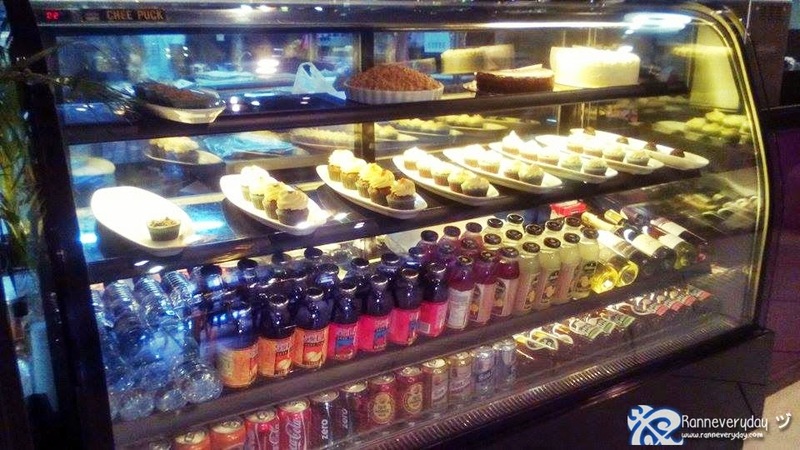 Cafe is located at the Mezzanine floor of the hotel. It might hard to find by others because it lacks of signage. I would suggest that they should put up some visible signage outside the hotel so that other people would try their cafe not just the customers of their hotel. 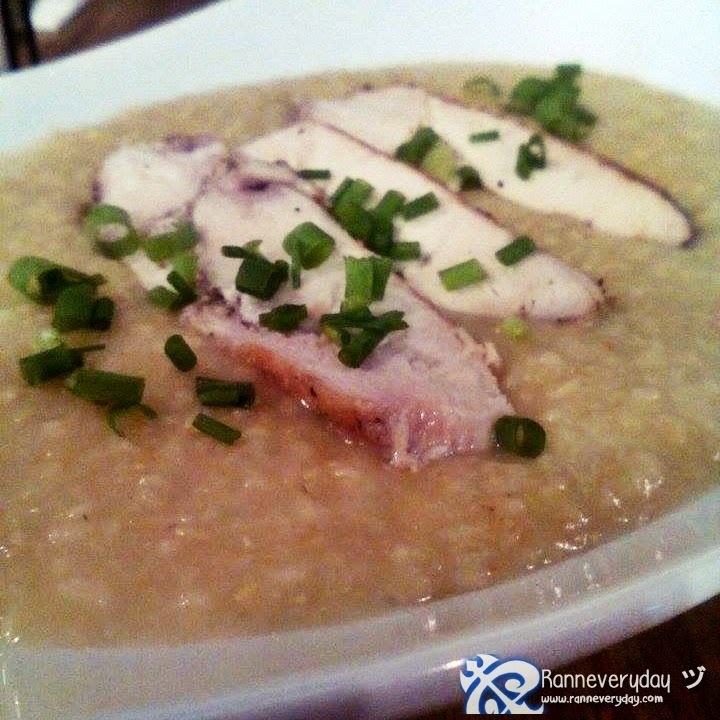 Oats Caldo (Php 210.00) - Do you love the famous Arroz Caldo? Here at Eat. Cafe, they have their own version of Arroz Caldo. Instead of using rice, they used oats. I find this very unique and it is surprisingly delicious! Add some thick chicken cuts on top of this favorite comfort food by many and your breakfast is perfect. It is a must-try dish. Smoked Ham with Spicy Pineapple Compote (Php 210.00) - Yum! This sandwich may look like a simple one but as soon as you'll have your first bite, it is going to be one of your favorite sandwich. 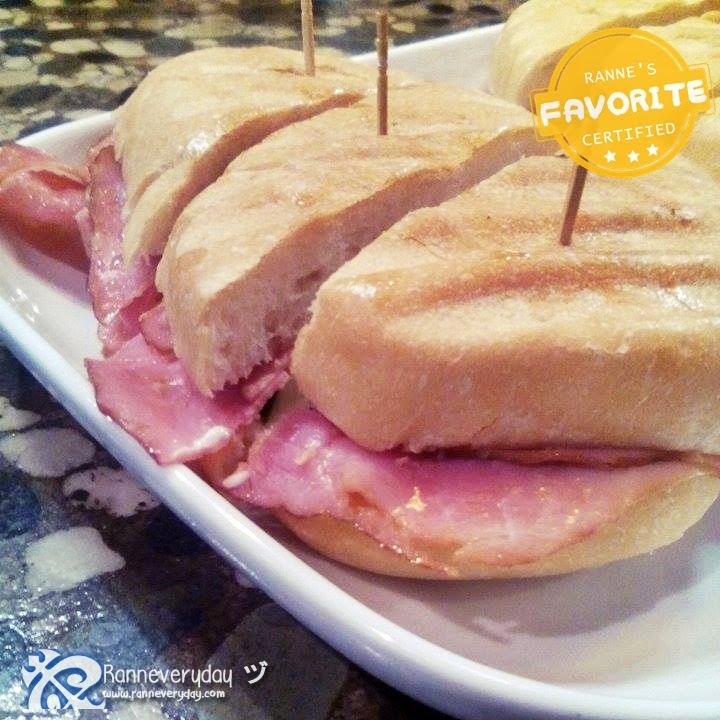 The smoked ham combined with some mayo, pineapple jam and a bit of spiciness makes you actually crave for more. 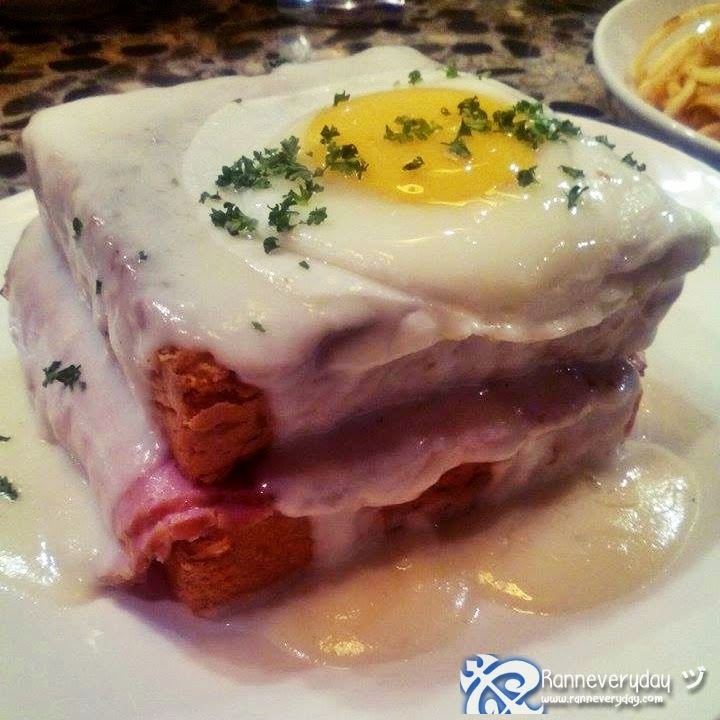 Croque Madame (Php 370.00) - A very thick sandwich. Its a ham and cheese sandwich with bechamel sauce and fried egg on top. I thought this dish would be salty but it's actually not. The bread may look like it's too thick but all the ingredients on this dish blended really well. 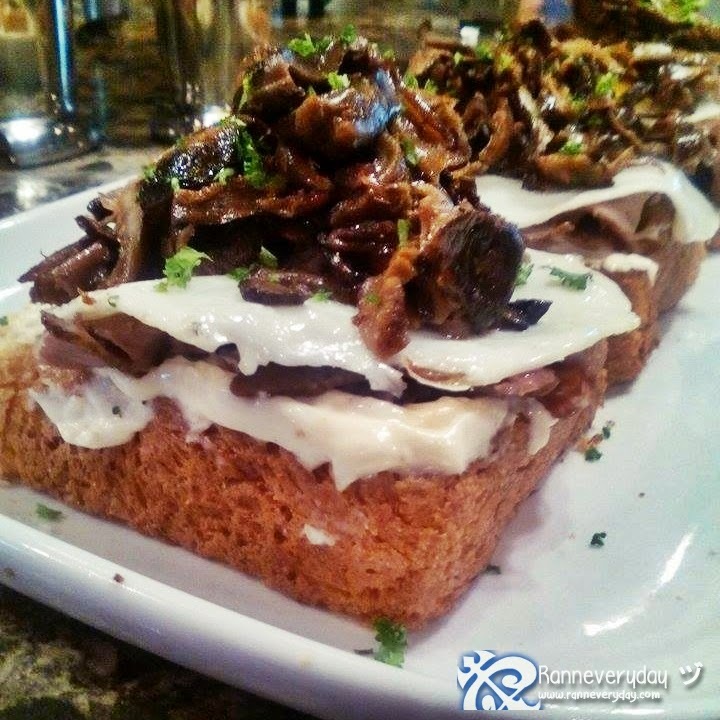 Beef with Fried Egg and Mushroom [Open face sandwich] (Php 220.00) - Mushroom + Egg + Beef on top of a very thick slice of bread. Delicious! Mushroom Fritters (Php 180.00) - Honestly, I never enjoyed eating Shitake Mushroom but after I tasted these fritters, I will surely try some more! Eat. 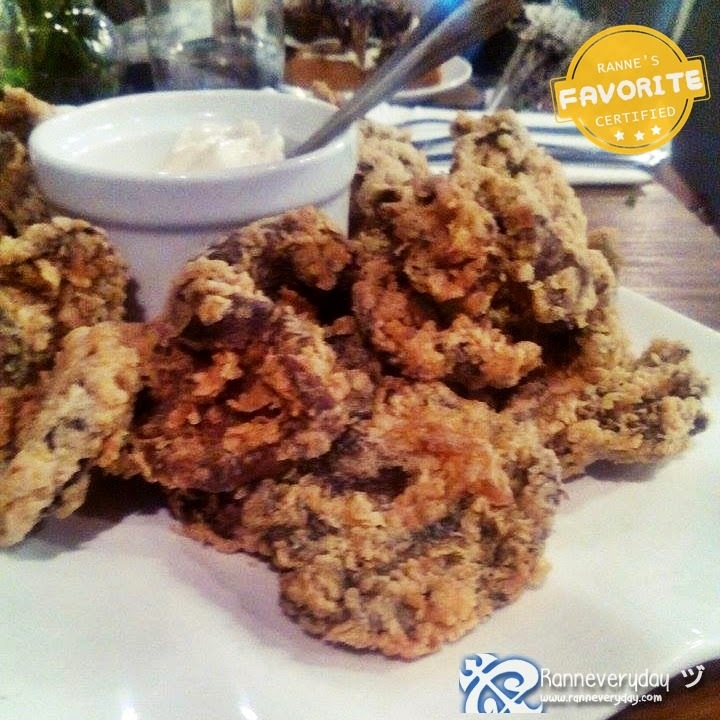 Cafe's Mushroom Fritters is really a must-try and everyone's favorite. It's a batter-coated Shitake Mushroom, deep-fried and served with garlic flavored mayo. 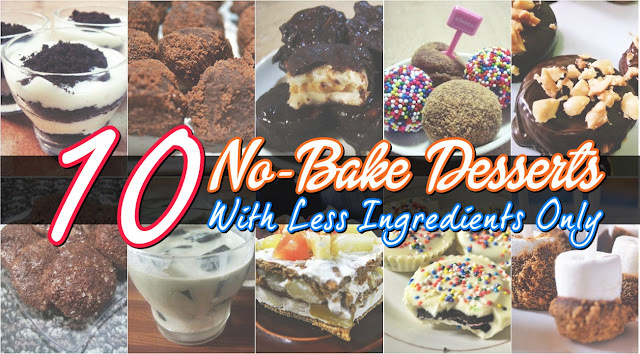 It's a combination of crispiness of the batter + the softness of the mushroom. Yummy! Spicy Tuna, Tomato and Olives (Php 220.00) - If you love spicy dishes then this dish is for you. 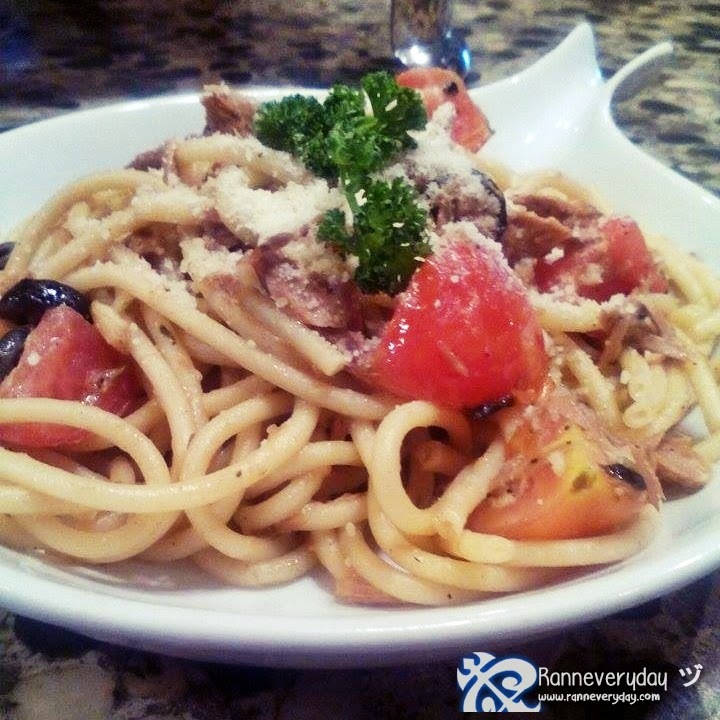 Enjoy your favorite pasta with spicy tuna + chunks of small tomatoes and olives. Very aromatic. A bit spicy for me but delicious. 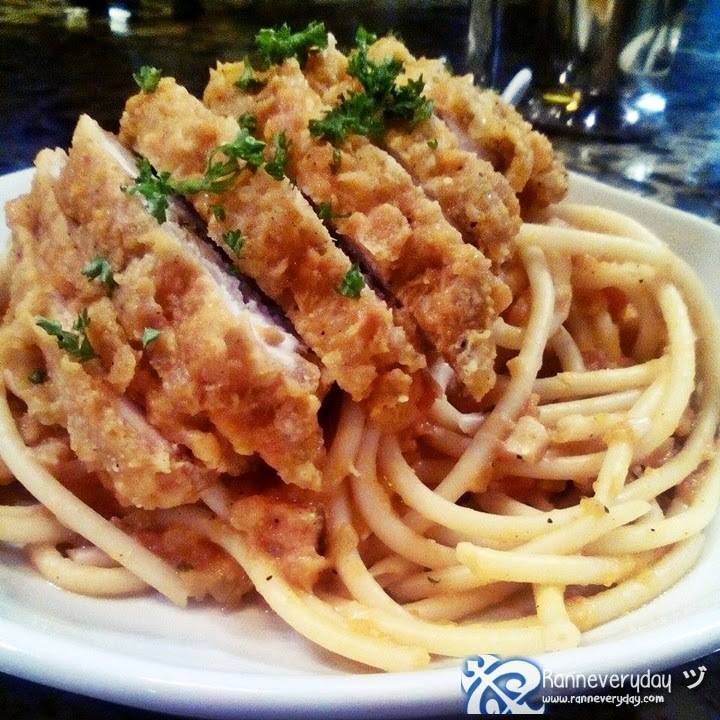 Chicken Parmigiana (Php 220.00) - A combination of cheese and tomato sauce plus thick cuts of chicken on top. 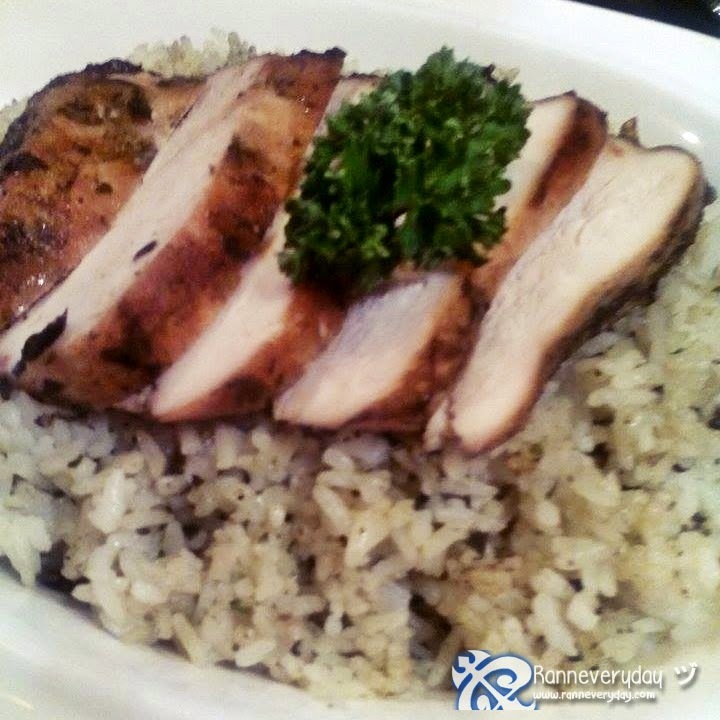 Grilled Chicken Pesto (Php 240.00) - A choice of pasta or rice. The pesto is perfect for me because the flavor is not too strong. It is topped with thick slices of chicken. 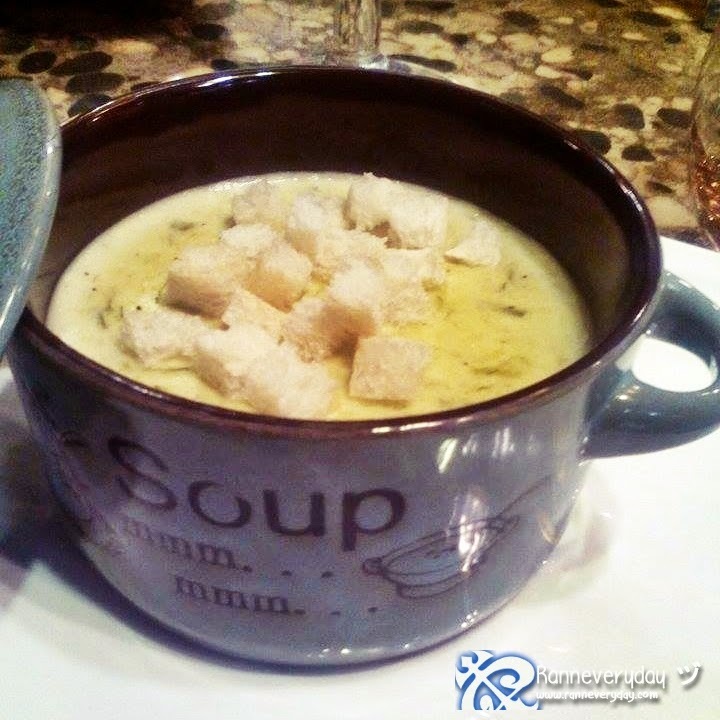 Potato Leek Soup (Php 160.00) - A perfect soup to partner with bread. The combination of potato plus leek is very good. Quite heavy on stomach. Perfect to eat while it's hot. 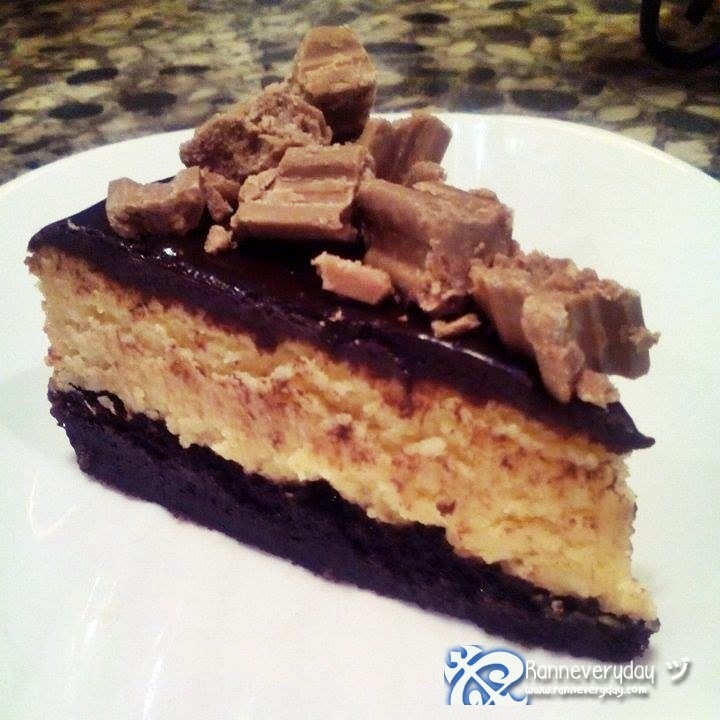 Chocnut Cheesecake - Your favorite Chocnut now comes with a cheesecake! This chocolate cheesecake topped with our favorite Chocnut is a perfect dessert to try! For me, it's a perfect place to have breakfast and what's more - the price is affordable. Dishes are almost perfect for sharing. The price is really not bad for dishes as delicious as what they serve here. 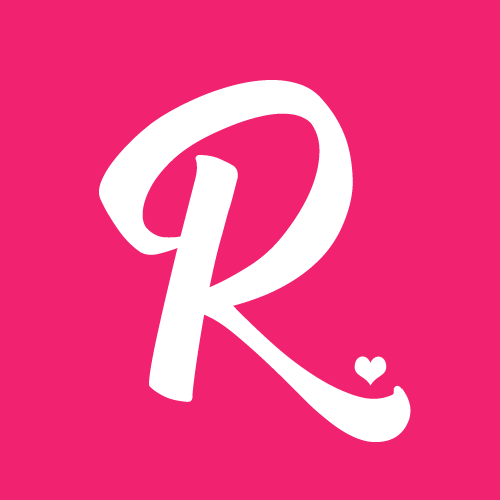 Even though the whole road of Malate have lots of different restaurants, what makes Eat. Cafe unique compared to others are their wide range of comfort food rather than those usual Korean, Japanese and American restaurants around. It's a perfect place to enjoy your favorite sandwiches, pasta, soups and other comfort food. Eat. Cafe is a must-try!